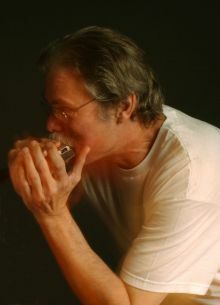 Rick Epping played and taught harmonica during the folk and blues revivals of the 1960's, and was for four years a member of the UCLA Balkan Dance and Music Ensemble. During the 70's he lived in Ireland where he pursued the traditional music, and was the 1975 All-Ireland Harmonica champion. As a member of a folk group there, he appeared often on RTE, UTV and BBC television and radio broadcasts, toured throughout Europe and recorded an album that reached #2 in the Irish charts. In 1998 and 1999, Rick toured in Ireland and Scotland along with harmonicists Brendan Power and Mick Kinsella, performing Irish, blues and original music. As product manager for Hohner Harmonicas, Rick has, for over 10 years, been traveling to Hohner's factories in Germany and China, supervising harmonica production and assisting in research and design. He has conducted clinics and workshops for Hohner in the United States, Germany and Argentina, and a Hohner Harmonica demonstration video he made in 1994 has been distributed throughout the USA, Europe, Russia and Southeast Asia. Rick is a regular columnist for the Hohner magazine, "Easy Reeding", and is Vice President / USA of Federation Internationale de l'Harmonica.